Made of 201 stainless steel material, durable to use. Perfect to hold fruit and vegetable, more convenient for you during washing fruit and vegetable. Easy to clean, save your space. 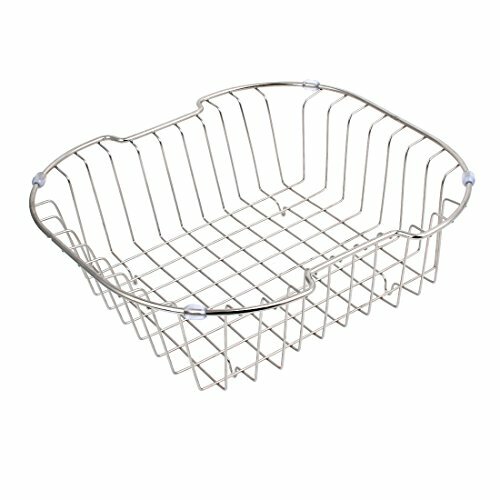 Open and hollow bottom design allows water to drain fast, the sink rack will keep your utensils away from dirty water in the pool. Unique outer rack design, it creates a space for your fruit and vegetable, very functional.